Cream petals suffused with a delicious raspberry shade that deepens toward the center. Very double, with a soft, sweet fragrance. 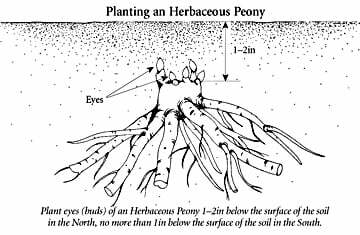 I ordered three of these (along with 6 other peonie plants) for a bed along a fence. They were received in excellent condition in a timely manner. The live roots were well packed and still moist when they arrived. Planting directions were included. I planted them last fall (2015). They made it through our rough Illinois winter, and now I am seeing beautiful buds coming up and am very excited to see how they grow this season! I am only giving 3 stars for now for the shipping and survival. 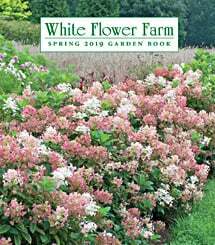 I will update the review and star rating after seeing how the plants grow, what sort of flowers we get this year (I know they maybe light as it's only the first year in ground), and fragrance. So far, things are looking very promising. Stay tuned for more details as the growing season continues. Happy gardening! I bought this from WFF over 20 years ago and it been one of the highlights of my garden ever since. The petals shine and the pink and white do look like melted ice cream. Deer don't bother it, neglect doesn't harm it: I don't even bother to stake it now. I planted the iris "Beverly Sills" around it, and it's probably the most successful combo in my garden.